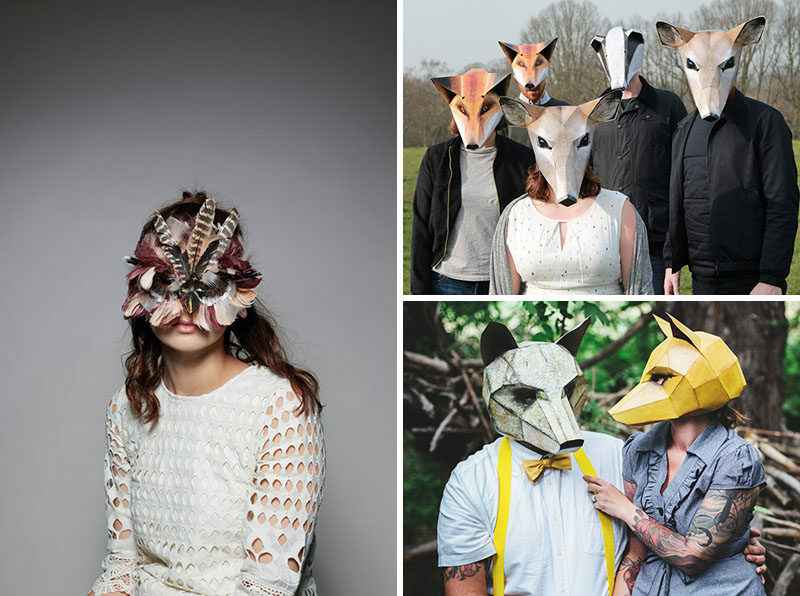 From funny to spooky to downright terrifying, costumes come in all sorts of styles. But if you’re looking for a simple way to hide who you are, a mask is all you need. 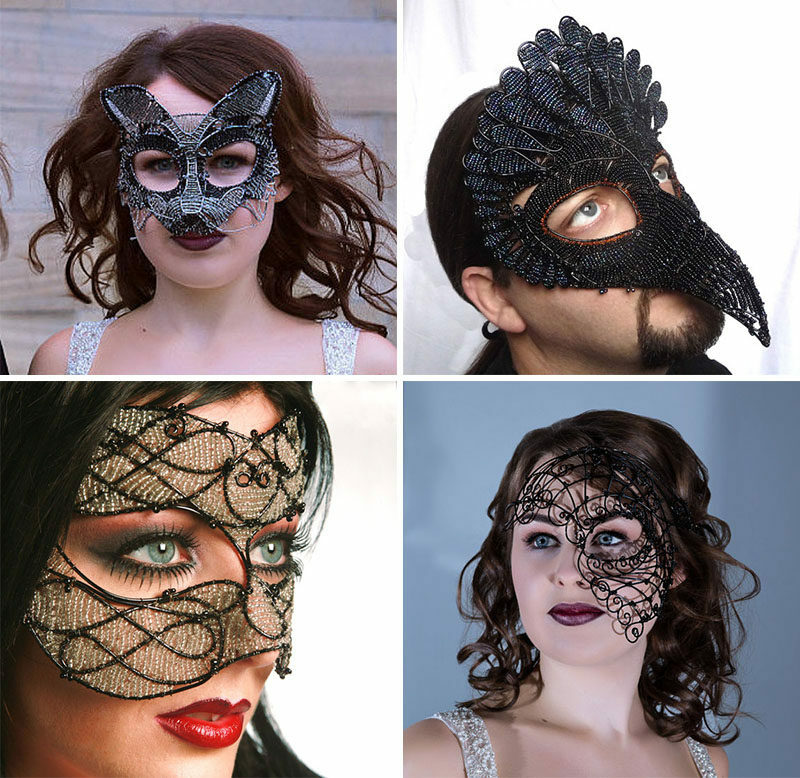 Here are a few examples of contemporary masks that will help you complete your Halloween ensemble. 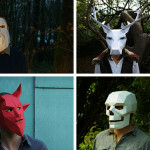 Made from recycled cardboard, these masks come in two or three pieces, depending on the style, and are assembled by you. 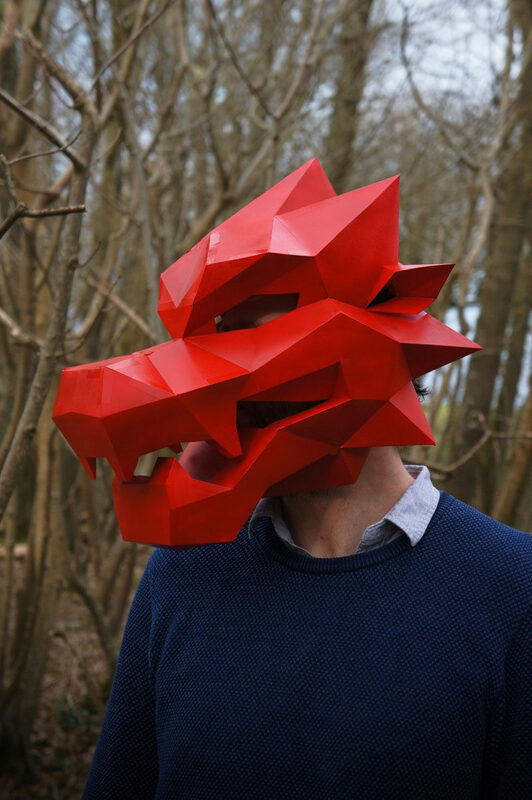 Once the sides have all been attached to each other, the resulting mask is a handmade project with a unique life-like yet geometric finish. 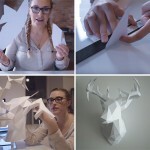 Take on the identity of underwater creatures, endangered species, or the living dead with these geometric paper masks that you print out and assemble yourself – great for a last minute costume. 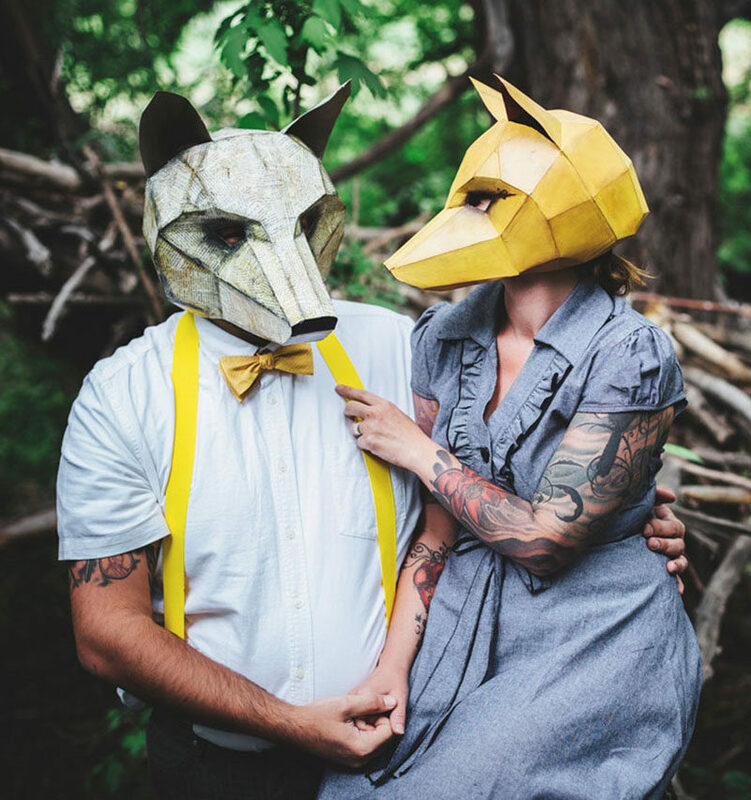 Also constructed by you, these printable masks can be as simple or as elaborate as you want based on the paper you choose to print them on. 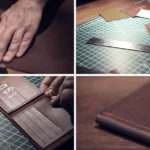 They also come in a wide selection of styles and range from animals to helmets, to emotionless faces and fantasy characters. 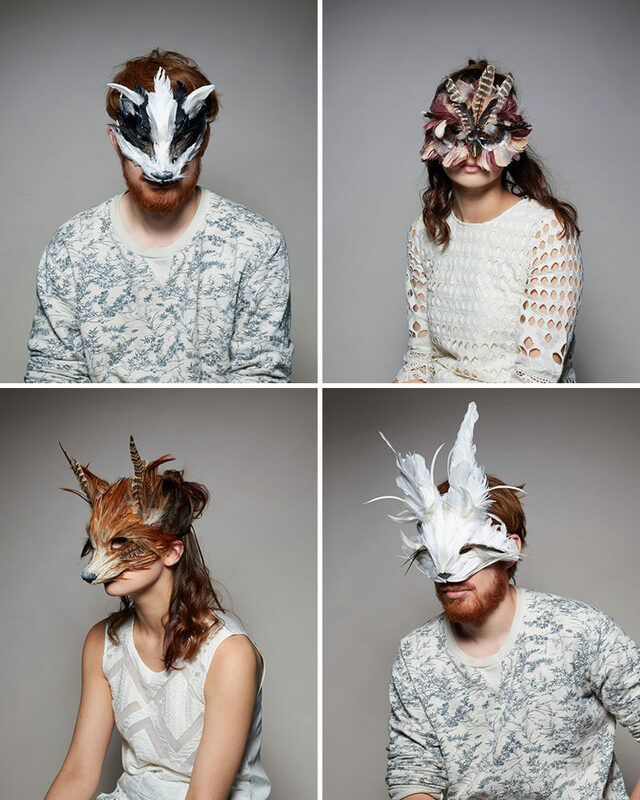 Beautiful and artistic, these handmade masks are made from feathers to create natural finishes and add unique texture. 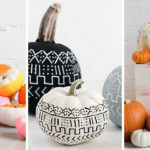 They can also be used as decor pieces once the night is over. 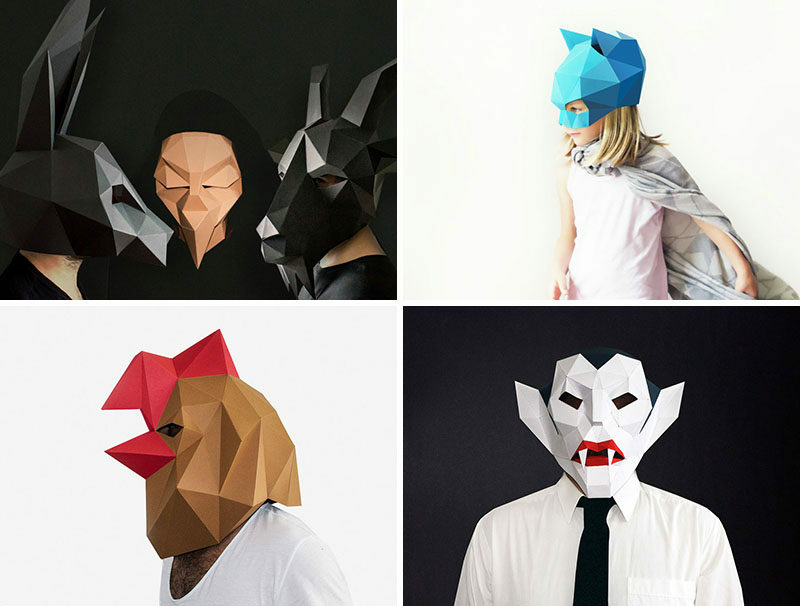 Geometric Dracula, chicken little, and a kids super hero mask are just a few of the creative masks that can conceal your identity for a night. These metal beaded masks are full of intricate details, like wire whiskers on the animals, and cages of beads filling in horns and ears of the masked creatures. Masks by Grin, Grimace and Squeak.